The Chilean Army (Ejercito de Chile) issues a request for proposal for an army half-tracked or fully-tracked infantry carrier suitable for equipping the Panzergrenadier Brigade. A successful competitor will receive a contract for up to 300 vehicles. Armour: protection against .50cal/12.7mm and .30cal/7.62mm infantry caliber weapons. A roof is desired but not required. Capabilities: Must be able to traverse a test course composed of different terrain types as found in the Andes, Atacama, and Altiplano regions. Special requirements: Vehicle MUST be designed to operate reliably at altitudes up to 17,000 feet above sea level. 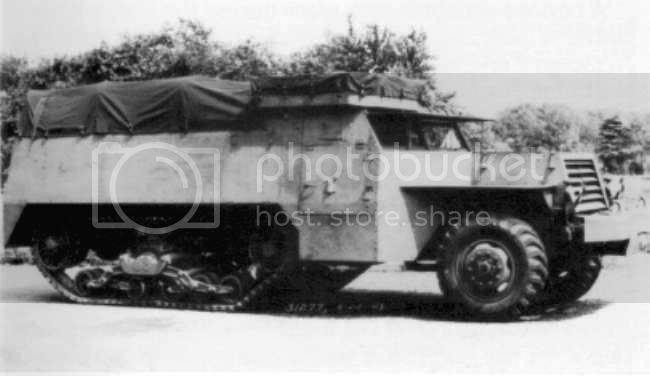 Germany can offer the Sdkfz 251/1, and other variants as required. The US can offer the M3 halftrack. In both cases, some engine tuning may well be required to help the engines operate well at the Chilean Army's required altitudes. Atlantis can offer the Napier Hall HT-5 "Bull"
It doesn't meet all the specs but Britain offers the Infantry Carrier No.1 Mk II which can seat six troops in the rear compartment and a driver and gunner/soldier/commander up front and is armed with two LMGs and has radio equipment. 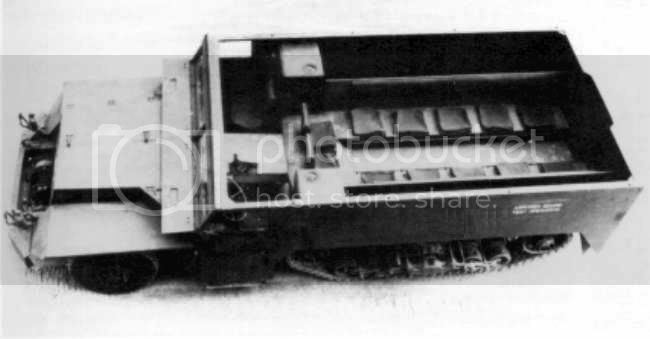 10mm thick armour, 3.75tons weight, 12ft x 6ft 9ins x 4ft 9ins, Ford V-8 85bhp petrol, 30mph, 130 miles and 1,200lb payload. ...wasn't there a three-wheeled version of those once upon a time?